I am sure that most of you, that read this blog on a regular basis, have attended a winemaker dinner at one time or another. Did you ever consider what goes into preparing for those few hours that you sit and enjoy the magic created between food and wine? On Easter Sunday, I met with John Dragonette at his wine tasting room. We tasted a number of wines, and narrowed down six that we thought would be perfect for a dinner. 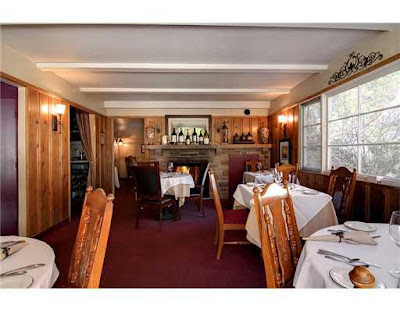 The Dragonette's do not currently have a distributor in our area, so we arranged a wholesale price for the wines, then called the chef/owner of Casual Elegance, Kathleen Kirk, to discuss possible dates for the dinner. While a Friday would have been ideal, it just didn't work with John's schedule so we settled on a Thursday night. After five years of trying, we finally had a date! I brought one bottle of each wine back to Casual Elegance, and the discussion began on what could be done for the dinner. All the wines are French varieties, so we thought about doing a dinner that was more French in style. Since we had six wines, we thought about doing a five-course meal. Ideas began to flow, and for the next six weeks, we shared recipe ideas and dinner/wine progression ideas. Additionally, Kathleen had determined that 30 people would be the maximum she could handle comfortably in the restaurant. Word spread quickly about the dinner, and the event was sold out two months in advance. As of today, there is about a 20 person waiting list. On Memorial Day, four of us met at 10:00am to work on the menu (the palate is more acute in the morning). In attendance were Chef Kathleen, David, Kevin, and myself (three of us are Sommeliers, and involved in different aspects of the wine business). We opened each of the six bottles of wine, and arranged them in the anticipated order of tasting. 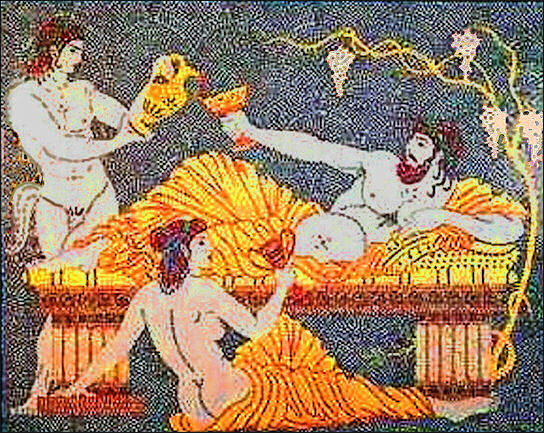 We each took small tastes of the wine, to orient ourselves, then the challenge began. 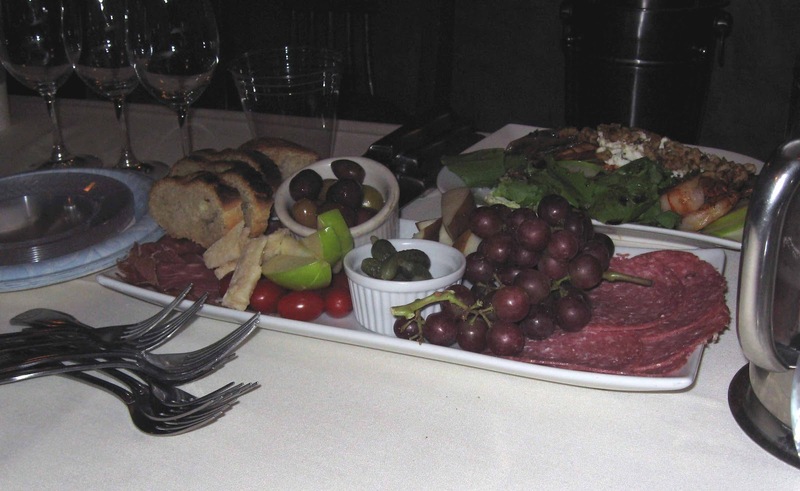 Kathleen had prepared a charcuterie plate, to start things off. Each item on the plate was tasted, to see what worked and what didn't. We chose to open with a Rose, and I think we found a good opening act. Next we had two Sauvignon Blancs, both are completely different in style. We paired these with a salad of goat cheese, walnuts and shrimp. The decision was that one of the Sauvignon Blancs worked better than the other, and to add a slice of lemon to the plate for those that wanted a bit more acidity. Next in line was the Pinot Noir. We chose an "entry-level" Pinot Noir, in an effort to keep the meal affordable for those attending. Chef Kathleen brought out a salmon filet topped with a raspberry sauce. After some discussion, the sauce would be 'tweeked" a bit, but this one worked. We followed the Pinot Noir with a Grenache based red wine. This also worked with the salmon, particularly with the sauce. At this point, Kathleen brought out chicken, pork, lamb, and beef. Every item (with the exception of the New Zealand lamb) had a different sauce, and side dish. 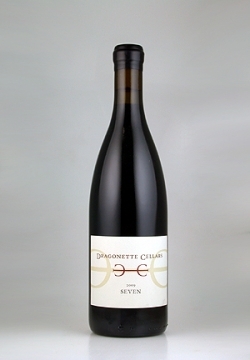 We tried every component of the dish with the Grenache, as well as our final wine, which was the Syrah based, Dragonette Cellars "Seven". We found some great pairings, and some that didn't work. We mixed and matched sauces, and sides, and came to the conclusion that we needed to serve the Grenache before the Pinot Noir (which is completely counter-intuitive, but the Pinot actually came across heavier than the Grenache). Lastly was the dessert. We had early on decided that we would keep the meal European in approach, so ending with a fruit and cheese platter was ideal. We tried five cheeses, and some different fruits, and settled on three cheeses that would work with any of the leftover wine. The entire tasting and pairing process took about three house (not including the time that Chef Kathleen took to prepare each item). None of the items we tried were in their final form, or portion size, as this was strictly for planning. In the end, there will be six courses and five wines. I will not giveaway the menu yet, as it has not been published, but look for a follow-up article, after the June 21st dinner for a full recap. The official kickoff to summer has always been Memorial Day. I have written about summer wines in a previous post, but we have never gone over the best drinks to have on hand for a barbecue (or BBQ). If you haven't pulled the barbecue out of storage, dusted it off, loaded the propane (or stocked up on the charcoal) then this weekend is the time to do it. 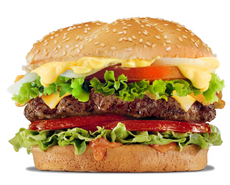 I would guess that most of you throw hamburgers or hot dogs on the grill, and down that with an ice-cold beer. Not a bad pairing, but what if you are not a beer drinker? What wines go best with foods grilled over the coals? 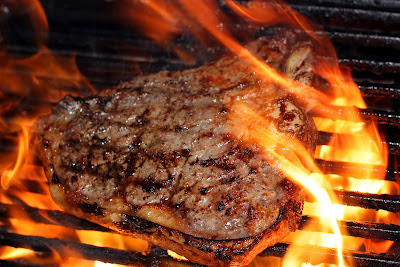 Grilling adds a bitter charred taste to foods. We can take two different approaches to bitterness, 1)match that bitterness with tannic wines, or 2) we can contrast that bitterness with fruitiness. Some of the more tannic wines are: Cabernet Sauvignon, Sangiovese, Syrah, and Zinfandel. Notice they are all reds, as white wine does not contain tannin. When we are looking to contrast, fruity wines can run all over the place. 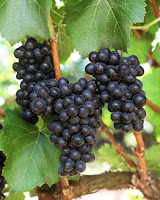 For reds, Gamay is definitely a fruity wine, as are some Pinot Noirs, but they are lighter wines, which might be overpowered by heavy meat dishes. 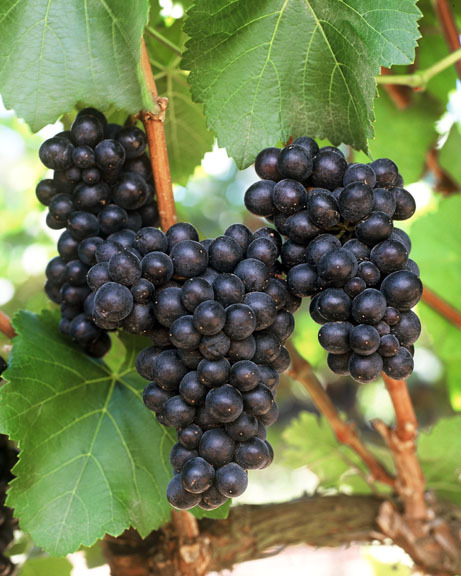 Both Zinfandel and Syrah (particularly Australian Shiraz) can be fruity, with some tannin. 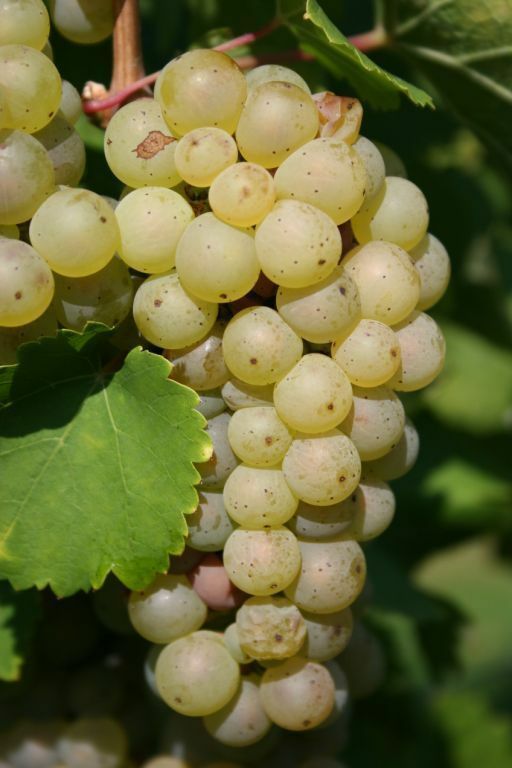 White wines can also be fruit forward, but again, a delicate white wine might be overpowered by the meat. 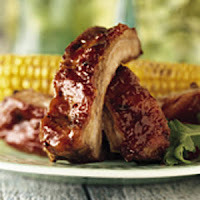 I would look for something with a bit more body, that can hold its' own against grilled foods. Riesling is always one of my "go to" wines, particularly for pork and sausages (the fat needs to be cut with some acidity, and Riesling does the job). You can also go to a Chardonnay, or maybe even a Chenin Blanc for Chicken. And...don't forget the Rose! One of my favorite summer wines, that pairs with most everything is a dry rose. Beware of the barbecue sauce. Remember to add it to your meat towards the end, so it doesn't burn, and if it is spicy, choose a wine with lower alcohol, as the spice and alcohol combination will accentuate the heat. 1. 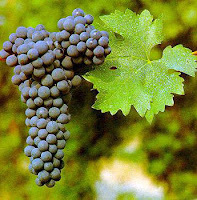 Zinfandel. Go for a lower alcohol (if that is possible) that is younger but with some tannin. 2. Syrah. Go for an Aussie version that is more fruit forward. 3. Rose. I like Bandol, Tavel, or some of the Roses coming out of California (usually Syrah, Grenache, Mourvedre or Pinot Noir based)...sorry, not a big fan of the Zinfandel based roses. 4. Riesling. I love a dry version from Alsace, France, or a dry Auslese from the Mosel region of Germany. 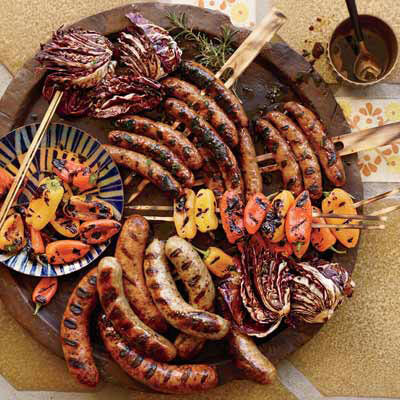 This is a great pairing with sausages, brats, or hot dogs....and even some pork dishes with fruitier sauces. 5. Beer. How can you go wrong with beer? One last tip...if your BBQ technique includes marinates, dry rubs and sauces...don't open up your best bottle of wine. Great bottles should be served with simple foods, where the wine can be the star. With barbecue, we want the wine and food to work with each other. Overpowering spices, will over power your wine, and isn't the ultimate joy, the blending of the two? What are your favorite/best wines with BBQ? As a Sommelier, I have done numerous blind tastings. 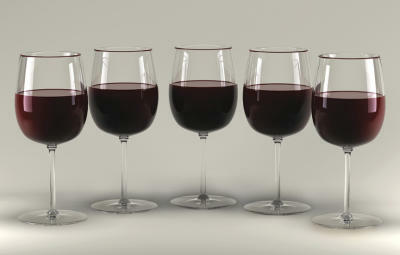 Usually we are given a number of different wines, and asked to evaluate the appearance, aroma and taste. 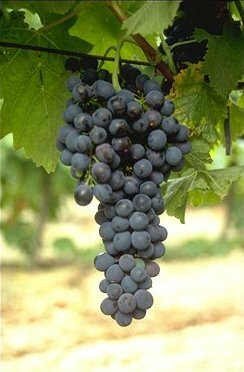 Sometimes, we'll have different grape varieties, and other times, they will be wines from the same vintage and grape, but different regions. But, if you were given a blind tasting, could you tell the difference between a low priced box wine, and a higher priced Napa Cabernet Sauvignon? This was the scenario at a recent wine tasting for the Arrowhead Wine Enthusiasts Club. I had told the participants that they would be tasting all wines from California. I gave them a tasting sheet, with the typical characteristics that would be found in the wines they were tasting. Next to each characteristic were four columns for each of the wines. They were asked to evaluate each wine for appearance, nose, palate, and then their final conclusions. 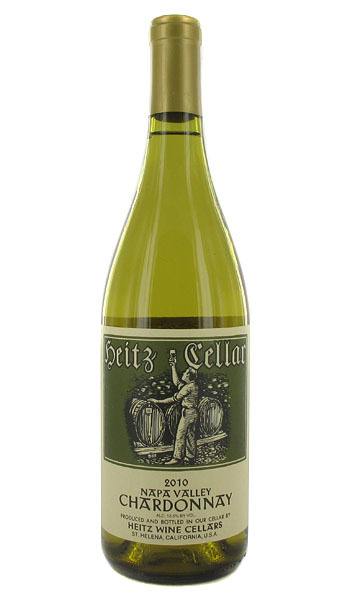 Some of our wine club members are not red wine drinkers, so I had a nice bottle of Heitz 2010 Napa Valley Chardonnay. Suggested retail on this bottle is $21.000, but I picked it up for $15.99 at Total Wine (all the wines for the tasting were purchased at Total Wine, which has a pretty good domestic selection). This Chardonnay had a nice balance of oak and creaminess (not over the top on either). A good balance of acidity, and fresh fruit, particularly pear and apple. When it came to the actual blind tasting, I put the wines in carafes. The challenge was to not give away what the tasting was about. Everyone knows that at my tastings, I organize my wines from fruit/sweet to aged/dry (left to right). I couldn't do that with this tasting, so I randomly put the numbered carafes on the tasting table, and let the tasters try the wines in what ever order they preferred. Before giving any results away, I will tell you that one wine stood out with most tasters, before they even had tried it. This wine looked much lighter than the other three. Other than that, all the wines had a nice ruby color them. All wines were Cabernet Sauvignon, from California. I had purchased wines that represented the ever more specific AVA's of California. I started with a California Cab, then went to a North Coast Cab, then a Napa Valley Cab, and finally a Stags Leap Cab (think about that Russian nesting doll with ever smaller dolls inside, and you can picture how each wine got more specific - see my article on AVA's). 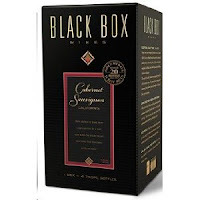 Black Box 2009 California Cabernet Sauvignon. Cost was $14.99 for a 3.0 litre box (equivalent of four bottles). This was the wine that stood out as lighter in appearance. There was limited oak, and tannin in the wine. Some aromas of red berries, but very subdued. The finish was fairly short. Out of forty tasters, two preferred this wine as their favorite. Cartiledge & Browne North Coast 2008 Cabernet Sauvignon. Cost was $9.99 for a standard bottle. this wine had a synthetic cork. The grapes for this wine were sourced from all over the North Coast AVA, and contained a small amount of Merlot in the blend. This wine had medium oak and tannin, and tasted more like a California Cabernet than the first wine. There were more fruit notes of red berries and black currants, and some additional notes of tobacco. I nice balance of acidity and alcohol. Once revealed, this was was determined to be the best value of the night. 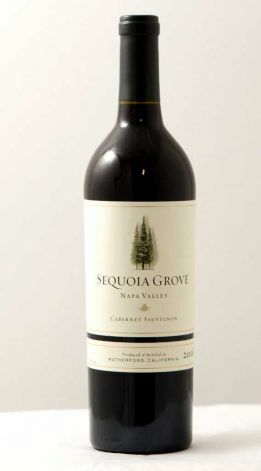 Sequoia Grove 2008 Napa Valley Cabernet Sauvignon. Cost was $28.99 for a standard bottle. Natural cork stopper. This wine was darker in color than any of the other three wines. The wine had black currant, red cherry, a bit of pepper, cedar aromas, and smoke. There was also a bit of minerality, that reminds one of "Rutherford dust" . This was full bodied, with medium (+) tannins. A lot of structure, and a long finish. This was the overall favorite of the night (at any price), but the two that loved the Black Box, didn't like this wine at all. Martin Ray 2007 Stags Leap Cabernet Sauvignon. Cost was $39.99. Unfortunately, one of the three bottles we opened was corked. The wine (while the oldest vintage) was still very tight and closed. It took a lot of air to open the wine, and expose the black berries and plum that eventually came out. The tannins were firm, and there was a lot of oak present in the nose, and finish on the palate. There were mixed reviews on this wine, but in fairness, the wine would benefit from more bottle aging, or opening up about three hours in advance of drinking. Overall, the blind tasting was an interesting experiment. As I pointed out, there was no "right" or "wrong" in how the tasters evaluated each of the wines. For those that loved the Black Box, they now know that they don't need to spend a lot of money on a bottle of wine, to be satisfied. Many also discovered that there are decent wines out there for around $10. In general, the more specific the AVA, the more characteristics the tasters were able to identify. A month ago, I visited the vineyards in Santa Barbara county, and brought you up to date on how budbreak was going in the vineyard. 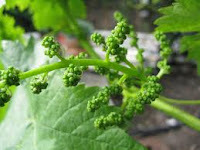 Now we are into full Spring weather conditions, and moving into the cycle of the grapevine life: flowering. Unlike the beautiful blooming dogwood trees we have in my community, the flowering of grapevines isn't really a colorful event, and would probably be missed by most people driving by the vineyards. Those tiny little embryo bunches we started to see last month are beginning to open, and little green flowers are sprouting. 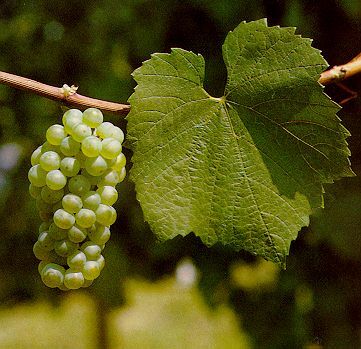 This usually occurs, on average, about eight to ten weeks after budbreak, so the early ripening varieties are flowering before the later ripening vines (which are still in budbreak). 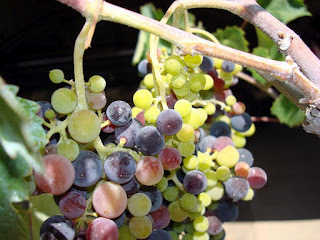 See my article on the noble grapes to see how different grape varieties progress in the vineyard. 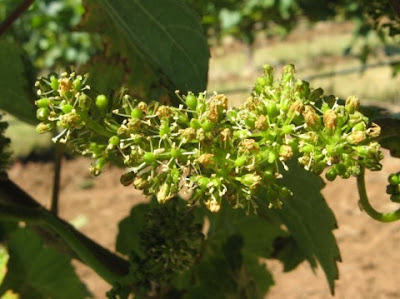 Just as in the previous cycle, flowering is a very critical time in the vineyard (probably the most critical), and the eventual bottle of wine. Flowering involves pollination and fertilization, so the future grape harvest is dependent on ideal conditions. The weather needs to be frost free and dry. Rain and freezing temperatures can damage the fragile flowers. An ideal daily temperature would be above 60 degrees. This is where vine position is important. Those vines that are positioned to gather more sunlight will have a better chance of producing healthy fruit down the road. Since Spring days are warm, and nights are still cool, the warming of the soil plays a significant role in vine development. 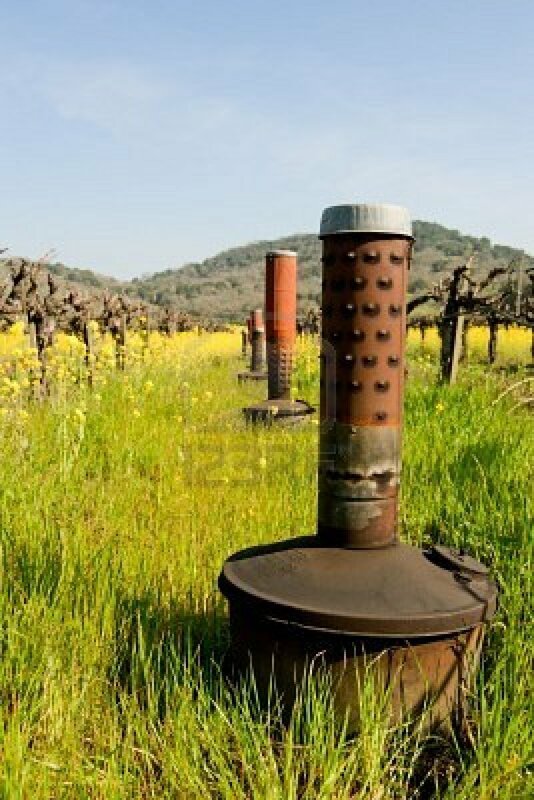 Since frost is still a real hazard this time of year (and one of the greatest threats to the vintage), many vineyards are protected by aspiration systems (sprinklers), smudge pots (heaters), or wind machines (which help circulate the cold air, which will settle low, and around the vines). Earlier, I mentioned the pollination and fertilization of the flowers, which will eventually become hard little clusters of green berries in the fruit set stage (about 6 to 8 weeks after flowering). I'm sure we all remember our high school biology classes...yeah right! Well, one thing you'll remember is the pistil and stamen discussion, and how male and female plants produce fruit. In the case of wine grapes, we do not need male and female plants. Wine grapes are hermaphroditic (also known as "perfect"), meaning they are self pollinating. It is during the flowering stage, that the vines can be affected by a condition known as "coulure". Coulure is caused by wet, cool weather. The flowers remain closed, and do not fertilize. When this occurs, the berries will not develop properly, and the fruit will drop. Another condition is known as "millerandage". 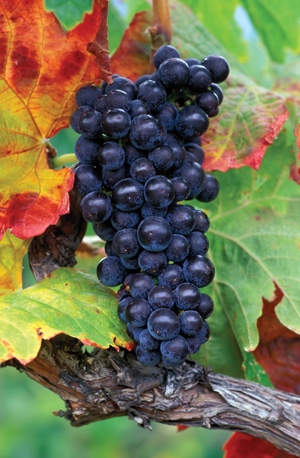 It is similar to coulure, in that weather conditions affect the potential grape bunches. 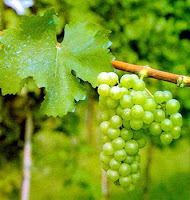 The bunches will produce uneven grape size and different levels of grape maturity. Ultimately this affects the harvest, and the eventual income of the grower. Again, a critical time in the vineyard. By understanding the different cycles of the life of the grapevine, you understand how the vintage might be affected. Appreciating all the different stages, and decisions that go into your bottle of wine, helps explain the regional characteristics. So enjoy your glass of wine, and keep watching the weather.